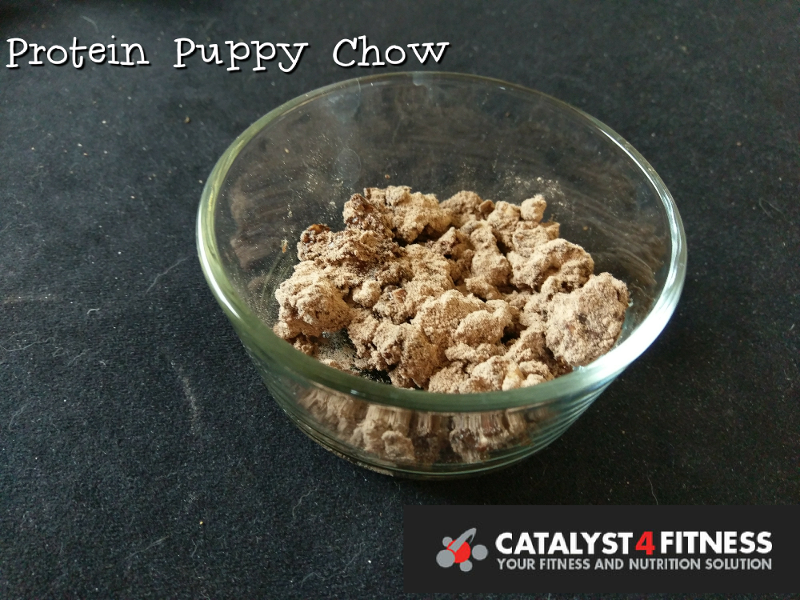 Enjoy this healthy version of protein puppy chow without sabotaging your diet. Mix PB2, cocoa, and water into a thick paste. Break rice cakes into smaller pieces and fold them into mixture until they are covered. Sprinkle protein powder on top and gently mix until completely covered. Freeze for 1 hour to set.